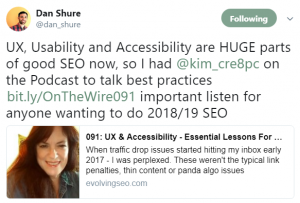 The following podcasts are interviews where I discuss usability, accessibility, SEO and how it is applied to websites. The podcasts are lively, informative and contain resources and tips. UX, usability, accessibility – are CORE essentials of modern SEO. I’ve seen sites get crushed in the last year with these issues. That’s why I invited today’s guest – Kim Krause Berg – onto the show. 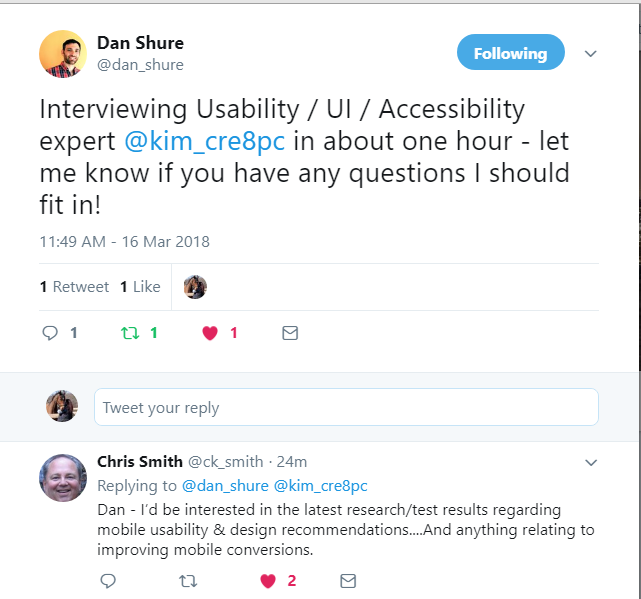 She is an expert in usability, UX and accessibility. In fact, she provides these services TO SEOs. 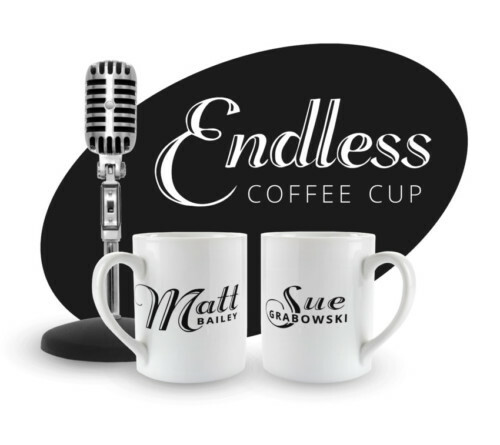 Matt Bailey and I go way, way back to the early days of website design and marketing and have worked together on several big client projects. We have countless funny stories to tell. When he invited me out for a series of podcast interviews, I accepted his offer. He and my husband, Eric, are good friends too. In fact, one year we took our entire family out in our motor home and camped at the Bailey’s during a July 4th holiday. My son set their house front porch on fire by accident with a firecracker. We discussed usability, seo, clients, horror stories, accessibility and I did my best to control my giggling. Please let Matt know if you like the podcasts. I’d like to go out there again. Sit back and listen to the instruction, the advice and experiences of two people that have been in the website business for over 20 years – each! We’re sure that you’ll learn something that will benefit your business or that you can put into practice – immediately!